Business gas prices can be the cause of a lot of stress for the owners of both SME’s and large corporations. That’s why, when looking into getting the best business gas prices available, it only makes sense to weigh up the different tariff and supplier options that your business can access to see where the best deals reside. When you compare gas prices with Exchange Utility, you receive easy access to a range of fantastic UK energy provider options – including tariffs from the Big Six suppliers! Our friendly team will help you to review your choices and advise on what makes a contract the best deal for your business. The end choice is yours! It takes minutes to compare gas prices. All you need is a copy of a recent business gas bill to get started. 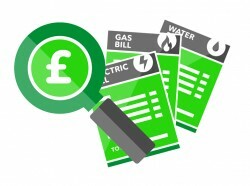 How are business gas bills calculated? Your bill should include a business gas price breakdown that explains the cost of each aspect of the amount that you are being charged. Finally, times your usage (the number of KwH) by your unit rate and add the standing charge if you have one. Which energy supplier has the best business gas prices? ✓ When is the best time to choose a new energy supplier or contract? ✓ Which business energy suppliers can I compare? ✓ Can you trust your new business gas provider? ✓ Are there any historical issues with the proposed gas supplier? ✓ Which energy supplier has the best customer service? With Exchange Utility you can compare up to 13 commercial energy suppliers to find out who has the best business electricity, water and gas prices. How do I get better commercial gas prices? Review your commercial utility contracts with Exchange Utility and you will be able to see the options available to your business for electricity, water and gas prices from suppliers across the UK. Alongside your comparison, you will receive all of the information and support that you need to make an informed decision on which options are best for your business. After you’ve completed your comparison and chosen your favourite deal, all you need to do is sign two document, then we will take care of all of the transitional paperwork for you. Furthermore, when your contract is next due for renewal, your energy account management team will be in touch to help you find another fantastic deal! It’s that simple! What affects the wholesale cost of gas? A variety of factors can affect the cost of your business gas. Learning what these aspects are and taking action at the right time could save you a lot of money when choosing a new contract as you can gain a better understanding of the market before you purchase.